I am here to help make your online art purchasing experience a total success. If you cannot find the answers to the questions you have below, please call me at (727) 942-9020 between 11 a.m. and 11 p.m. Eastern Standard Time or contact me through the website. It will be my pleasure to answer your questions directly and solve any issues as quickly and conveniently as possible. I look forward to working with you to bring quality artwork into your home and working environment. To see an answer, please click on the question in the shaded area below, and a drop-down menu will have the answer to that question. ​​How long does it take to paint an original Kevin Grass painting? This is the question I am asked the most. It varies with the size and complexity of the painting, but it can take anywhere from 200 to 400 hours. Love Wins! took 400 hours because I was paying homage to the Northern Renaissance master Jan Van Eyck's Arnolfini Wedding Portrait and I wanted to be certain that I could live up to my idol's technical mastery. What should you do if you're not completely certain if you want to purchase an original Kevin Grass painting from this website? If you have had the chance to see my paintings in person at one of the large art fairs or in another art show, then you will have seen the technical acumen of my work and you can be sure that my more recent work matches or surpasses this mastery. If you have not yet had that pleasure, read on about the satisfaction guarantee for the original paintings. Rest assured that the paintings look better in real life than they do on even the best color-adjusted computer screens. Feel free to call the studio at (727) 942-9020 to talk to me or to my wife to gather more information about my art. Since I am a full-time college art professor, I may not always be available, but someone at home can certainly schedule a call. We can even set up a time so you can Skype with me and see me in my office or studio, where I can answer your questions and set your mind at ease! My paintings have steadily increased in value, so they are a good investment from that standpoint. Ultimately, however, you should buy a piece because you've fallen in love with it and have an emotional connection to the work. That is the best reason to purchase any work of art, from any artist anywhere. 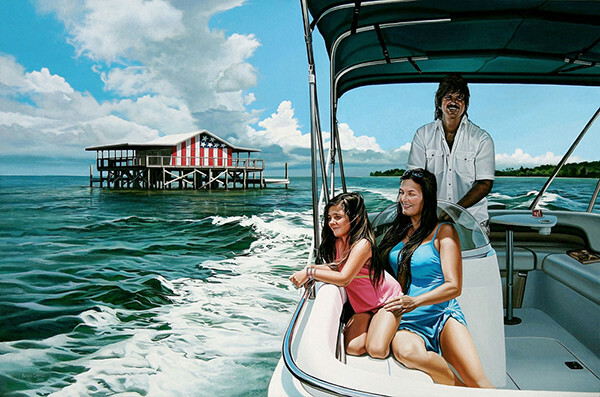 After your purchase of an original painting, you will receive a follow-up telephone call to make sure you are happy with your purchase and that everything arrived properly. At that time, you are welcome to set up a time to Skype with me directly to get to know me better, ask any questions about my artwork, my inspiration, my techniques, or anything else that comes to mind! One of the nice things about working directly with an artist via his website is that there is no "middle man" so to speak. Sophisticated contemporary art collectors typically like knowing the artists whose work they are collecting. This way, you will have unique access to me in a way that is seldom offered by many other artists, and certainly not by most traditional art galleries. What if I am having trouble signing up for the coupon, or the blog, or with the checkout? It may be that you have not cleared the cache for your browser in a while and that may result in this website giving you an error message "500 error -- we're working on it" or something like that. If you Google how to clear the cache and try again, typically your problem will be resolved. In what currency are the sales? All pricing on this website is in U.S. dollars. 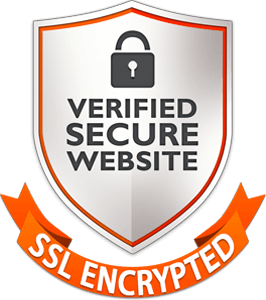 While looking through the site you may notice that there is a security assurance icon in the footer yet the information in your browser URL bar may state differently. This is because the main site is not collecting any of your information. However, once you get into the CART SYSTEM where you're required to input your details you'll notice that the cart IS secure and the icon in your URL bar will be then a lock representing a secure page. Will the artwork look the same as what I see on my screen? Dimensions and cropping will have the same aspect ratio, and you can see that when you use the Wall Preview tool. However, the colors for artwork may vary according to the brightness, color settings, and resolution of your computer monitor or the device on which you are viewing this website. It is much like looking at lots of television sets in a store, with some variation from manufacturer to manufacturer. I do my best to accurately display what the work will look like, but there may be some slight variances between what you see and what the printed product will look like. Print reproductions are color proofed with me first, and will look as close to the original artwork as is possible with the current technology available. 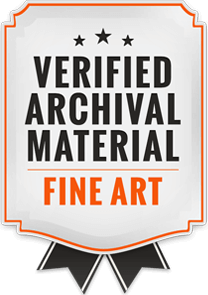 You get a 7-day money back guarantee from receipt of an original drawing or painting if you are not totally satisfied with your purchase. No questions asked. The artwork must be returned undamaged and in the original packaging. Return shipping cost is at the customer’s expense. The customer must insure artwork for the full sales price for the return. Please see information about returning print reproductions further down in this FAQ. If your artwork arrives and the box is damaged, please contact me immediately via the website to let me know. Before opening the package, YOU MUST PHOTOGRAPH the damaged package. You may open the package to see if the work has been damaged (I hope it is only superficial) but if the painting or print is damaged, please photograph the damaged artwork. NOTE: Every original work of art is photographed before and after it is packaged and before it is sent to you, for insurance purposes. All my original artworks are insured for transportation. All print reproductions for Kevin Grass Fine Art will be custom printed by Skyline Art Prints in Austin, Texas. If there is an issue with the quality of the print product, damage during the delivery, or any other issue that happened on Skyline's end, they will certainly replace and re-ship an order in a timely fashion, as well as provide a return shipping label for the faulty product. Skyline does require photographs of the faults in order to start producing the reorder. Customers should get in touch with Skyline directly at orders@skylineartprints.com or call Skyline at (512) 497-2822 if there is shipping damage or a manufacturing defect, since there may be many variables involved with each individual order. What if I changed my mind right after I ordered a print reproduction? 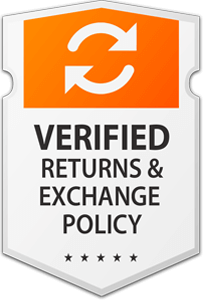 Skyline Art Prints does not accept returns for a change of mind or if the order was placed incorrectly by a customer. So, if you accidentally chose the wrong frame and it was shipped, Skyline will charge a 25% restocking fee that goes toward labor, materials, and administration for the order that was produced. If you notice the mistake immediately, before the order was produced, then you can try calling Skyline's main number at (512) 497-2822 during business hours on Monday-Friday from 8 a.m. to 4:30 p.m. Central Time, and see if they will amend the order without a surcharge, but that is not guaranteed. 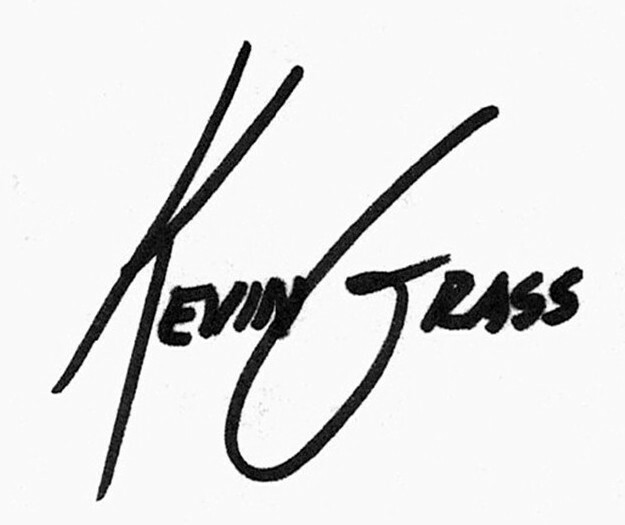 At Kevin Grass Fine Art I want you to be happy with the artwork you purchase from my website! So, even though Skyline Art Prints does not accept returns unless there are manufacturer defects or there is damage during shipping, I will accept provide a 7-day money back guarantee from receipt of an artwork from this website if you are not totally satisfied with your purchase. 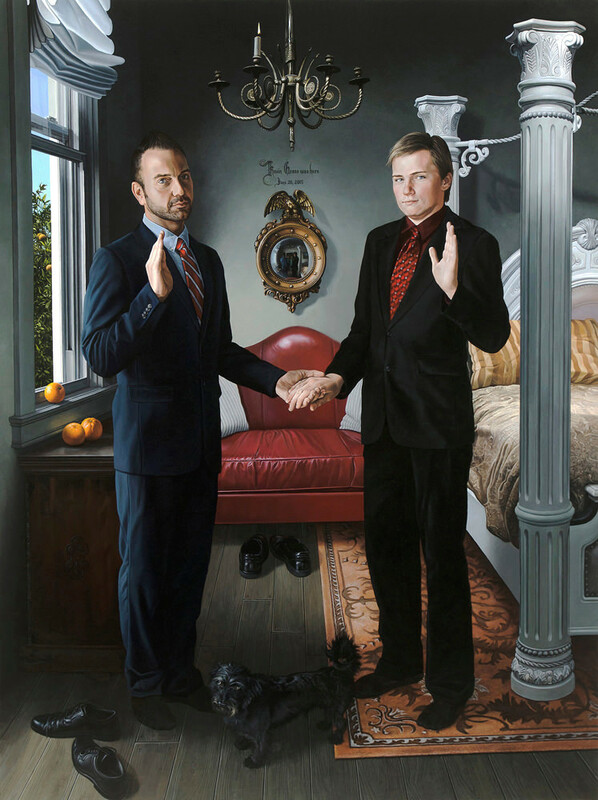 The artwork must be returned undamaged and in the original packaging. Return shipping cost to my studio at 1884 Briland Street, Tarpon Springs, FL 34689 is at the customer’s expense. The customer must insure artwork for the full sales price for the return. Please contact me at (727) 942-9020 to let me know if you are making a return within 7 days of receipt of an artwork from Kevin Grass Fine Art. All shipping is from the U.S. and foreign clients will be responsible for paying all applicable taxes and duty upon receipt of their original paintings. Shipping fees are pre-calculated for the United States. Buyers from Florida will have to pay sales tax, which will be calculated at checkout. Residents of Honolulu and of Anchorage will have a flat rate shipping price, but those outside of Honolulu in Hawaii and outside of Anchorage in Alaska will need to contact us directly for shipping prices since "beyond point" pricing will be in effect. Thus buyers from such addresses will need to contact us for specific shipping prices. Original paintings cannot be delivered to post office boxes or to Armed Forces Service box addresses. They need to be delivered to corporate or residential addresses only. What about shipping original artwork to foreign countries? Original painting buyers from other countries will need to contact us directly through the website or via telephone to arrange shipping fees. All foreign clients will be responsible for paying all applicable taxes and duty upon receipt of their paintings. How will original artwork be shipped? 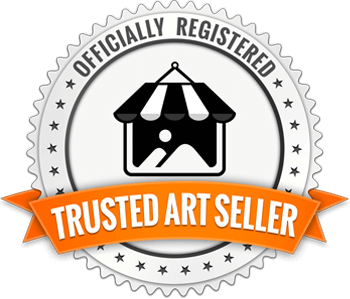 All works of original art are insured for shipping to the client and will be shipped with reputable vendors such as Pilot, UPS, and FedEx. 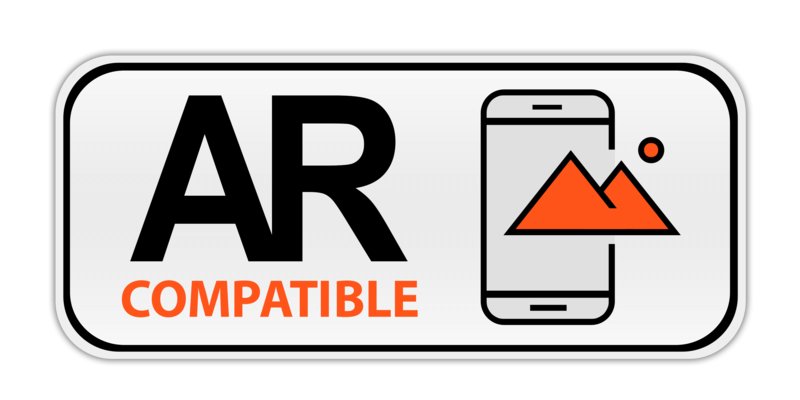 Tracking information will be supplied for every shipment. Each work of art is shipped separately even if multiple paintings are ordered, except for small packages, if requested. Can local buyers pick up artwork and avoid shipping costs? Local buyers of original paintings may request to pick up their original artwork at the studio and may opt to pay cash for the purchase at pick-up during the check-out process. The studio is located at 1884 Briland Street, Tarpon Springs, FL 34689 in the Tampa Bay area and may be visited by appointment only. Upon request, I will be glad to deliver original artwork in the Tampa area to local customers and help hang the work, if desired. We are a Florida business, so if you are purchasing items with a Florida address, we have to charge Florida sales & use tax, which is 7% in our area. All original paintings are shipped ready to hang, using professional grade wire and attachments. BONUS: I will include picture hanger hooks for easy hanging with every painting purchased. I am glad to work with interior designers, galleries, and others in the trade with regard to representing original artwork. I do not offer discounts on print reproductions, however. Print reproductions are custom printed for each customer, and I do not mark them up much, so I can offer them to a wider fan base. That is why I do not offer print consignments with galleries or interior designers. If a hotel would like to order a large bulk purchase of Kevin Grass Fine Art prints, please contact us via telephone or the contact form and we can see if we can negotiate better terms with our printer. Does Kevin Grass do commissioned work? I welcome working with customers to create unique and creative art that is specific to your needs. Please contact me via telephone or the website to discuss any ideas you have regarding commissioned works. I would like the possibility of using your photographs (rather than my own) to put through the same process and to see what appears. I am also open to revisiting themes that I have done previously with new figures, so that the finished work will seem as if it stems from a series. Depending on the scope of the commission, we can also arrange for me to travel to and take photos of the figures for the work as part of this process. Either way works. This has been successful in the past, with personalized artworks being created. A non-refundable deposit is required, and you will have the chance to approve the design of the piece before it is painted. You will be apprised of the progress of the work periodically, so there will be no surprises in the end. If you are not satisfied with the completed work, a full refund minus the deposit will be issued. Your total satisfaction is my goal. Cammy, Lisa and Todd is one of my commissioned works to give you an example of the kinds of paintings that may be custom-created for individual art patrons.